The Internet Archive, one of the most widely known nonprofit organizations in the internet community, has just announced that they intend to start paying a portion of their employees’ salaries in Bitcoin. The Archive describes itself as “a non-profit digital library offering free universal access to books, movies & music, as well as 267 billion archived web pages”, and is most well-known for two key projects. First, the Archive maintains the Wayback Machine, a service that allows anyone to access old versions of web pages, including potentially web pages that have since disappeared from the internet, from as far back as 1996. Second, the organization’s website features a collection of millions of works in video, music, audio and text. The Archive is also actively attempting to preserve older works of literature by converting them into a digital form, with 23 scanning centers in 5 countries uploading 1,000 new books to its collection every year, and maintains a number of smaller projects including its collection of NASA images. The Archive is not the only “open-source” digital library out there – the Gutenberg project also comes to mind, but it is one of the largest, and projects like it play an important role in keeping public domain books accessible as we rapidly transition to a digital age. Although companies like Google have also stepped in to fill the role with projects like Google Cache and Google Books, many are worried about what would happen if the only records of a large number of important cultural artifacts were left in the hands of a single large corporation, and to those concerned about such issues the Internet Archive’s Wayback Machine and Open Library projects provide a compelling alternative. The organization first started accepting Bitcoin for donations in December 2012. “At the end of 2011,” Brewster Kahle relates, “we did a fundraiser, we were trying to raise money at the Internet Archive by putting up a banner, and we got a lot of emails saying we should take Bitcoin. I thought, I’m going to try a test. I took our head of administration – she’s a capable woman but not technical at all – and said, if you can figure out how to take Bitcoin, we’ll take Bitcoin. She downloaded BitcoinQt, and it was slow but it worked.” The Archive has received over $5,600 in Bitcoin donations since then. 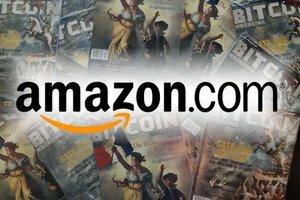 Archive.org is listed by Alexa as the 233rd most popular site in the world, placing it only behind Reddit and WordPress in terms of organizations that accept Bitcoin. As far as organizations paying employees in Bitcoin go, however, the Archive is by far the largest. The only other nonprofit known to do such a thing is the P2P foundation, which announced its plans to pay employees in bitcoin in March 2012, although many Bitcoin-specific nonprofits businesses are likely already paying their employees in bitcoin without feeling the need to explicitly mention it – Bitcoin Magazine itself being one example. However, Kahle reminds us, the Internet Archive is a nonprofit organization, and relies heavily on donations to keep its services running. 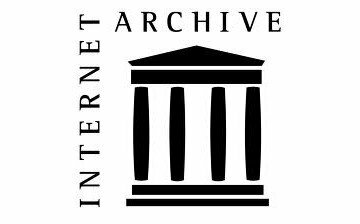 Those who support what the Internet Archive is doing and wish to see it continue to preserve and digitize even more content, as well as those who simply wish to help Bitcoin-accepting organizations grow and succeed, are encouraged to donate to its public address, which can be found here on its website (although other methods of payment are also always welcome). If the Internet Archive continues to receive enough funding to maintain this initiative, it will provide yet another boost to Bitcoin’s legitimacy, and perhaps even encourage other organizations and even businesses to follow suit. With bitcoins flowing around in a closed loop, passing from average Bitcoin users to businesses and organizations like the Internet Archive, and from there directly to their employees who then spend it at other Bitcoin businesses without being converted to and from USD along the way, it looks like Bitcoin is well on its way to becoming a true, self-sustaining currency.